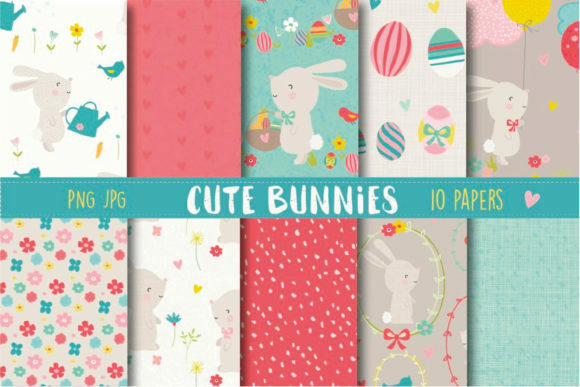 A sweet set of cute bunnies papers, with bunnies, easter eggs, flowers and more. 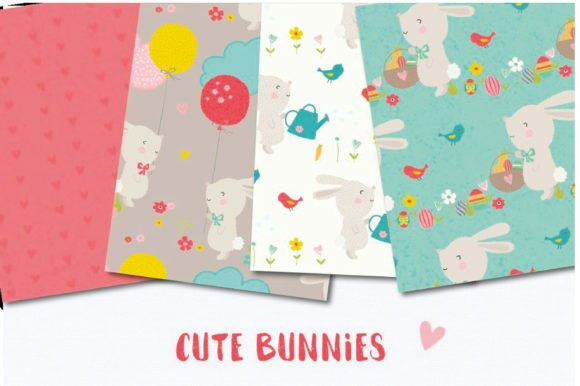 Perfect for party invites, scrapbooking, greeting cards, easter cards and celebrations. This paper pack includes 10 papers. Papers saved in file format JPG. Coordinating Cute Bunnies clipart can be purchased separate.